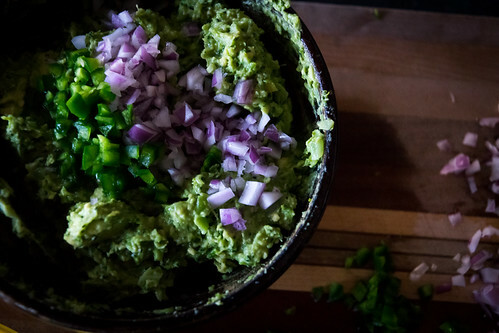 Guacamole plus broccoli equals broccamole. 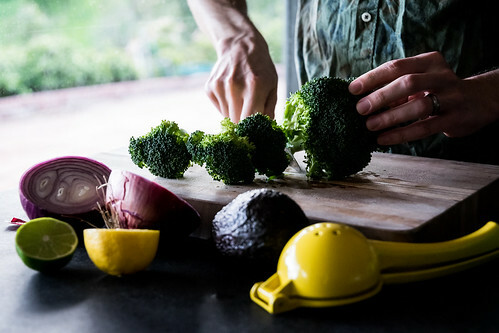 One of our all-time favorite recipes from the Veganomicon is Pasta Della California: angel hair noodles tossed with loads of garlic, lemon juice, broccoli, and… avocado. Before we lose half our readers, stay with us. We thought it sounded odd too, but it quickly became one of our go-to weeknight dinners and now we tell everyone we know about it. Inspired by that recipe, and after realizing how wonderful avocado and broccoli were together, we decided we had to try this combo with guacamole. We laughed when we came up with the name, and knew it would be perfect for the blog, but after looking it up online, we discovered it had been done before. 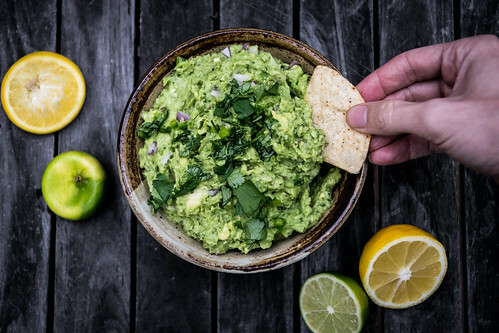 Although we can’t take credit for inventing the name, we know you will be thanking us for sharing this addicting version of guacamole on steroids. Broccamole was our dip of choice for this year’s Academy Awards. It was an unforgettable show and we enjoyed it with an unforgettable snack. 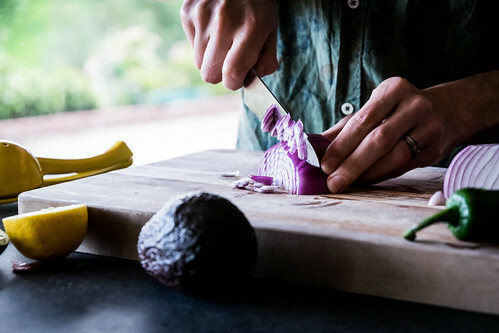 Creamy avocados are mashed with chopped red onions and minced jalapeño peppers. 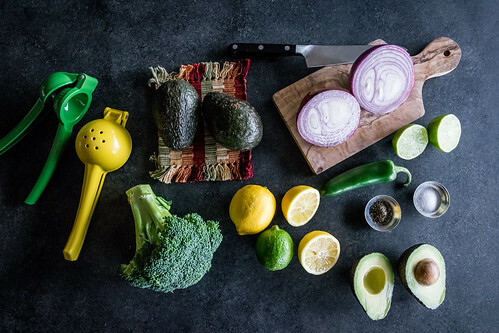 Adding both lemon and lime juice is our citrus secret, and tossing it with steamed broccoli that has been slightly pulsed in the food processor turns an already delicious guacamole into even more delicious broccamole. 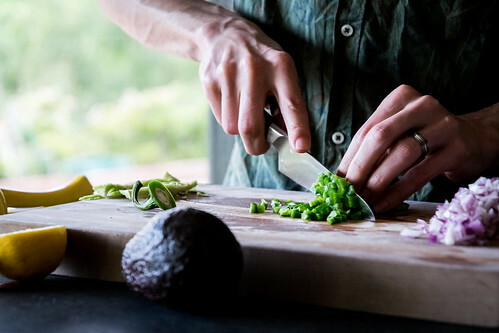 Garnish with fresh cilantro and grab a bag of chips: after one bite of broccamole, everyone is going to be wishing for their own avocado tree. Place a steamer basket in a medium saucepan, add a few inches of water, cover, and bring to a boil. 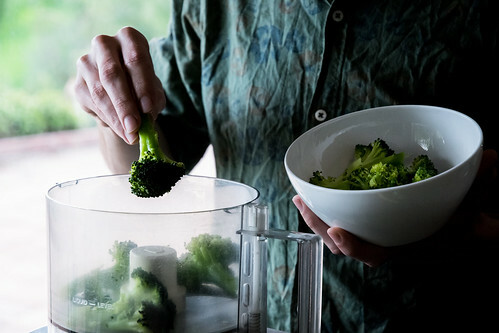 When boiling, add the broccoli florets, cover, and steam until tender, 5 to 7 minutes. 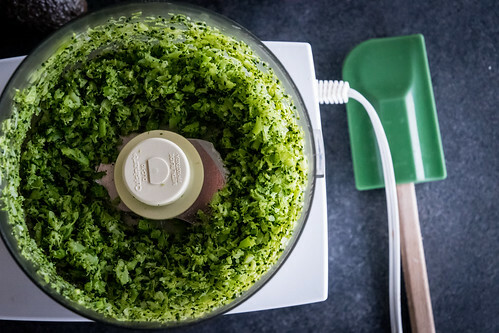 Transfer the cooked broccoli to a food processor, and pulse a few times until the largest pieces are the size of a pea. 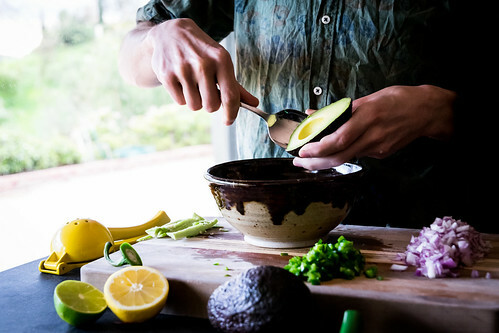 Scoop the avocados into a medium bowl, and use a fork to mash them up. 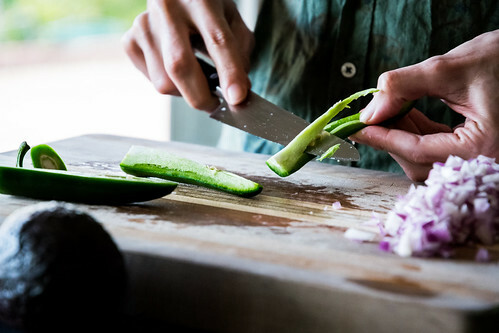 Add the onion, jalapeño, lemon juice, lime juice, salt, and pepper, and stir well to combine. Add the chopped broccoli and stir until blended. Taste for salt, lemon, and lime, and adjust if needed. Serve with tortilla chips, topped with a handful of chopped cilantro if desired, and enjoy! Great recipe – I can’t wait to try this hilariously named dip! Also, excuse me, please – who is that gorgeous kitty?! 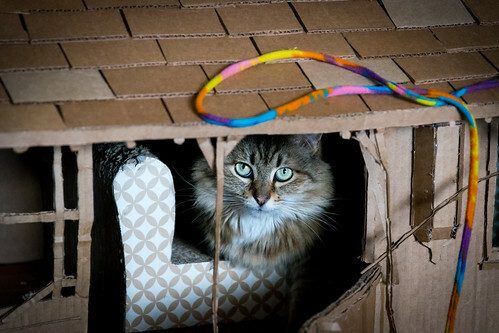 OK…sorry to comment again but I just read the About page and found out kitty’s name is Sylvia. Soooo gorgeous! LOVE this!!!!! I can’t wait to try-this is something I never would have thought of! And it’s fun to say too!! Your site is absolutely stunning!! Thank you so much Sarah! You’re too kind! So glad you found us, and it’s nice to meet you! 😉 Enjoy the broccamole! Ever since I saw this photo on Insta I have been craving guacamole!!! I can’t wait to try this recipe — why didn’t we make this?!?! Um, I could totally eat my weight in this (and the broccoli makes it guilt-free, right?! ;)) Love Sylvia’s appearance too! Haha the broccoli definitely means that you can have as much as you want! At least, that’s how we interpreted it, because we polished off that entire bowl in about 30 seconds. 😉 And thank you! She was looking so cozy, we just had to get a shot!